1.VIVA LA REVOLUCIÓN, 4 P.M.
Start with what makes Cuba unlike any other Caribbean island: its record of unshakable resistance to the United States. The Museum of the Revolution is a shrine to Cuban sovereignty, housed in the old presidential palace, complete with bullet holes from the Revolution and dozens of glass cases documenting Fidel Castro’s triumphs — from his days as a guerrilla, to the Bay of Pigs and beyond. It’s all a bit musty now, and best experienced quickly, but it’s vital. This is the Cuba of a proud and former era that continues to hold on, like an anchor buried deep at sea. 2.THE NEW COOL, 6 P.M. 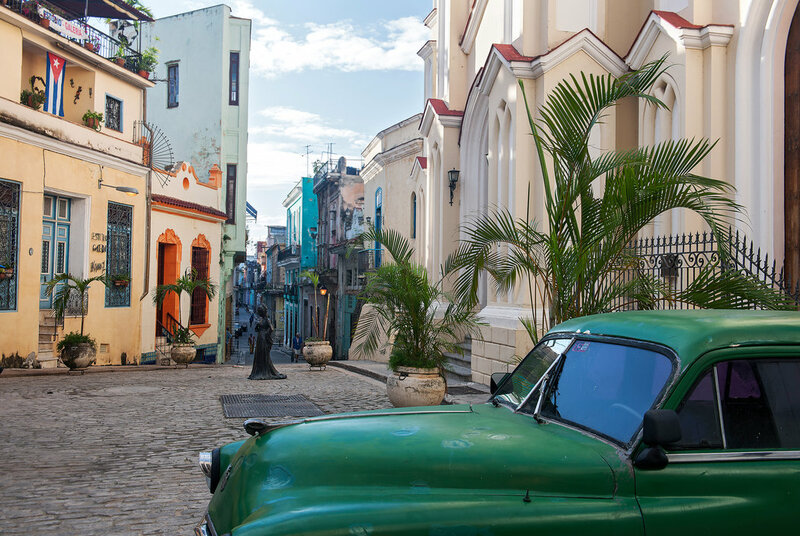 Climb the spiral staircase to the roof of the restaurant named El Cocinero (look for the soaring brick chimney) and settle into a hip new Havana. Chill on the banquettes with some empanadas de queso, or start with a trago or two of aged rum on the rocks. Then order more. The menu changes based on availability, but small plates rule, from a phenomenal hot crab dip to lobster and sides like boniato (Cuban sweet potato). Expect to pay about 60 CUC (Cuban convertible pesos), about $61, per couple; the bartenders and servers are gems of efficiency and charm. 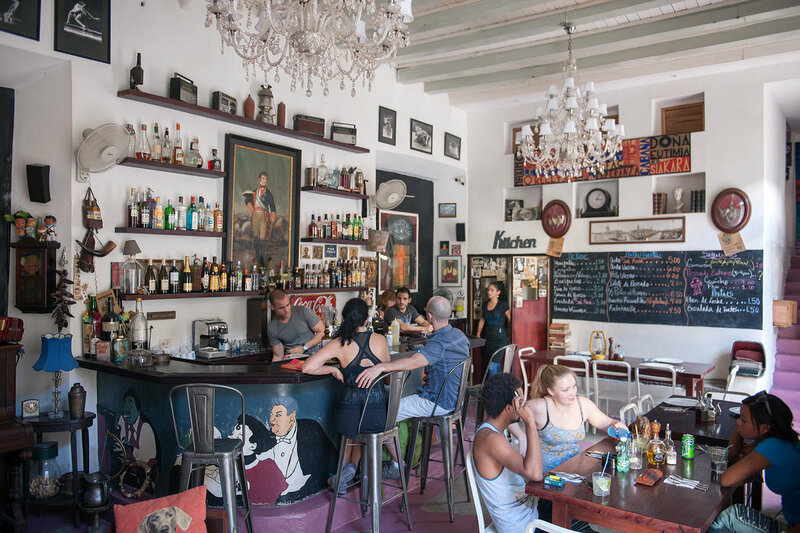 Next to El Cocinero, sharing an expanse of the same century-old cooking-oil factory, La Fábrica de Arte Cubano feels like a mix of CBGB, Art Basel Miami, a community center, a coffee shop, a bar (or two or three) and a bomb shelter. Arrive for folk dancing, and you may end up lost, in a good way, listening to reggaeton or staring at sculpture, huge canvases of colorful paintings, or black-and-white photography. “It’s an urban experiment,” said Inti Herrera, a member of the artists’ collective that runs La Fábrica with permission from the government, which owns the building. Finish your night with mojitos at Siá Kará, a centrally located bar and restaurant of just the right size (small) and style (are those old ’50s-era ties?). Grab a seat in a far corner from the piano and the singer to allow for maximum listening and diving into late-night conversation about the meaning of socialism, capitalism and life itself. No trip to Cuba is complete without intense discussion of existential quandaries; Siá Kará — an Afro-Cuban expression meaning “to wash away the past” — is an ideal salon, flush with good taste and liquor. Head to Café Mamainé in Vedado for Havana’s version of the Starbucks frappuccino. It’s icy. It’s strong. It’s sweet, flavored with a touch of cinnamon. And as you sit on the porch at Café Mamainé, in an old colonial mansion, it goes great with a ham and cheese omelet, or with a full American breakfast of fruit, toast, butter, jelly, more coffee, eggs and sausage. A hearty feast can be had for 10 CUC. 6.ART AND ENTREPRENEURS, 11 A.M.
7.A VIEW OF THE SEA, 2 P.M.
Rest and replenish at Café Laurent, which offers breezes, views of the sea just beyond the newly christened American Embassy — and some rich culinary options. Start with the octopus carpaccio and a bottle of wine (a rarity in all but a few places just a few years ago), then ask about specials. Go for the black ink seafood risotto if it’s available: love it or hate it, you’ll remember it. Expect to pay about 45 CUC per couple for lunch. Cuban cigars have become a bit of a cliché, but here’s how you do it with a measure of authenticity: First, visit the Partagas factory in Havana if it isallowing tours (sometimes, yes, sometimes no); then head to Casa Abel, a new bar, restaurant and cigar lounge run by Jose Abel Espósito Díaz, who spent 19 years working for Partagas. Abel, as everyone knows him, is a charming repository of tobacco lore and explanation. 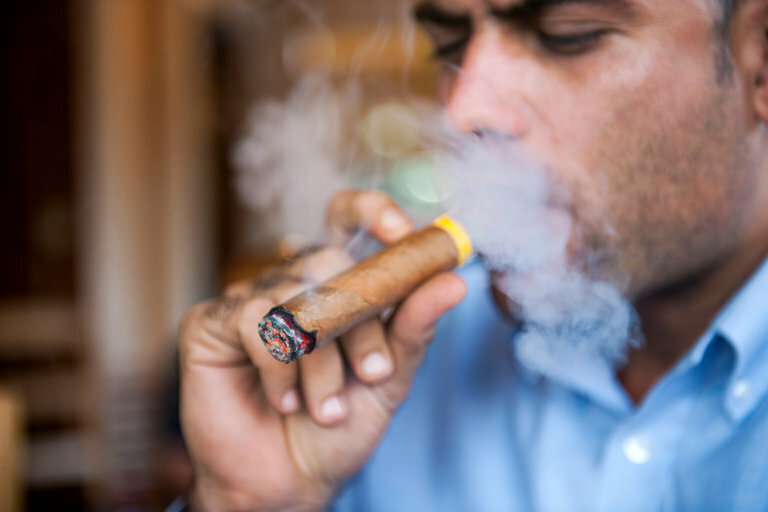 He often hosts events for cigar aficionados from all over the world. His humidor holds many fine offerings that are worth discussing and smoking. 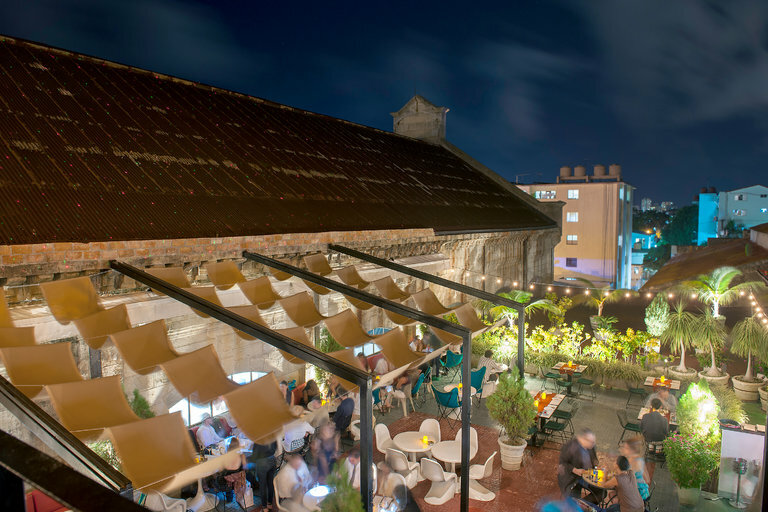 9.REVIVAL AND RENEWAL, 7 P.M.
Río Mar has become a favorite of Cuba’s emerging elite, for its waterfront location on the edge of lush Miramar, its design-school vibe and its good food. 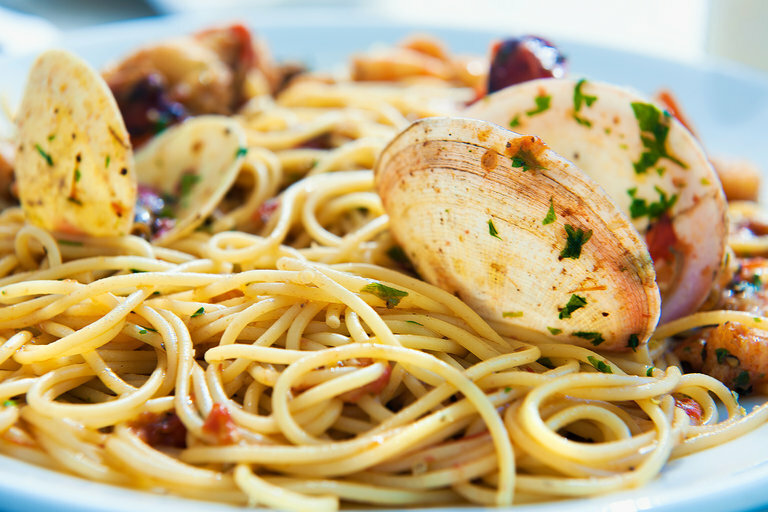 Try the seafood pasta for a break from Cuban fare, or go deep into the past with pan de boniato and the ropa vieja — a shredded-meat classic made from lamb at Río Mar, in an effort to revive a dish that largely disappeared after the Revolution. 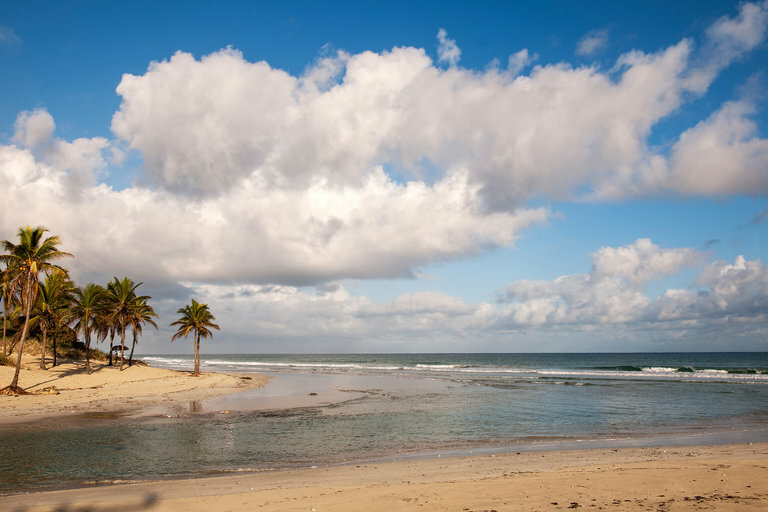 Then order flan or rum and linger a little longer as the waves knock into the shore. Dinner should cost around 75 CUC for two. 10.GET YOUR GROOVE ON, 10 P.M.
Los Van Van, Celia Cruz and others may have to compete with reggaeton and hip-hop these days, but La Casa de la Música in Miramar is still a reliable nightspot for live music and dancing to salsa and merengue. The crowd size varies, and some locals may be looking for more than just a dance partner, but with the right band on the right night, you can lose yourself here for hours of visceral joy. 11.SMARTPHONE AND CHILL, 1 A.M.
Make your way to the Malecón, “a free place with a nice view and lots of possibilities” — that’s how young Cubans often describe Havana’s famous sea wall. Especially late at night, it’s a flytrap for youth and uninhibited performance. Couples kiss to music buzzing from old iPhones; friends and musicians dance, shout and flirt with tiny cups of rum in hand, as taxis honk their way through a dawn-seeking crowd overseen by the police who whisper but rarely intervene. 12.TO THE BEACH!, 10 A.M. Tourists go to Varadero. 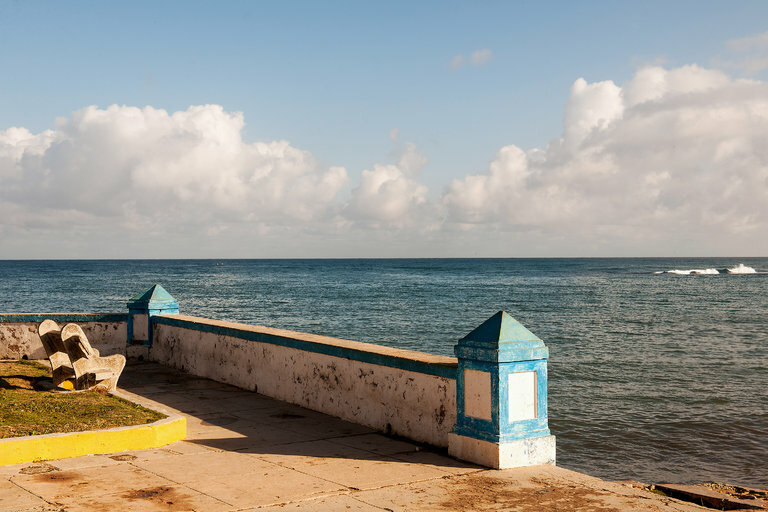 Habaneros go to Guanabo, a beach town a half-hour east of Havana, and they go together. To do the same, grab a shared taxi at the small park with the old train at the corner of Agramonte and Misión. The cars tend to be old and slow — all the better for a leisurely trip along the coast, which is still shockingly undeveloped. The beach itself is a ribbon, flush with life at its most crowded spot with no more than a few dozen Cubans swimming and enjoying what has always made Cuba the Pearl of the Antilles: its pristine shores. 13.A HEMINGWAY DEPARTURE, 2 P.M. Finish your trip with a daiquiri or two at La Terraza de Cojimar, a watering hole on the way back to Havana that was a favorite of Ernest Hemingway. It butts up against a bay, on a bumpy road through a small town that hasn’t changed much since Papa was around; it’s still a gorgeous spot, if old and faded, and the house drink, the Don Gregorio, is still strong. Here at least, on a lucky afternoon, time is frozen. But as with all of Havana, the moment to go is now; in the world of Cuba that caters to visitors, change is here and accelerating. Cuba is notoriously short on hotel rooms, especially now that Americans are flocking to the island, so book early. 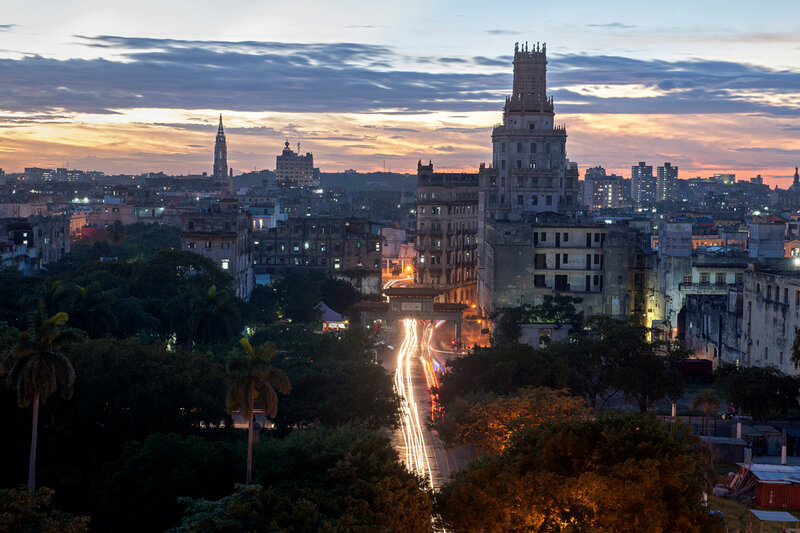 Most of the best hotels are in and around Old Havana and Vedado, and the service and quality tend to be a step below the best options elsewhere in the Caribbean, though there are signs of improvement. One of the best — and most recently renovated — options is the Hotel Capri, a joint venture with the NH hotel chain (Calle 21 between N and O, nh-hotels.com/hotel/nh-capri-la-habana). The rooms are modern and comfortable. The rooftop pool offers stunning views of the city. A standard double costs 294 CUC in high season; one with an ocean view costs 304 CUC in high season. The Hotel Roc Presidente (Calzada No. 110, at the corner of Avenida de los Presidentes) is a more worn if charming Old World option. The rooms range from small to grand, with prices ranging from around 80 CUC to just under 200 CUC, and the Internet service tends to be faster and more reliable than at some other hotels. The scene on the hotel terrace — a mix of Cubans watching YouTube and foreigners wandering in — gives it a unique vibe. Renting a room or a full apartment or house is also an increasingly common option given the lack of hotel rooms (and the desire to funnel money to everyday Cubans rather than to the government, which owns all the hotels). Three options to see what’s available: Homestay.com, Airbnb.com and havanacasaparticular.com. Make sure you call or email to confirm.